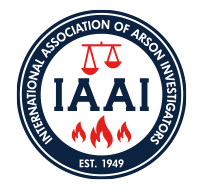 The work of the IAAI, for the most part, is completed by members who volunteer their time and expertise. We rely on our membership to participate in the various committees of the IAAI. There are standing committees established in our Constitution and By-Laws and committees established by the President and Executive Team. Please visit the About IAAI > Committees page for a description of each committee’s work. In addition, the IAAI occasionally convenes working groups on particular issues. If you are interested in serving on an IAAI committee, please complete the Application for Committee Membership. The Executive Team reviews all committees, current assignments and applications for committee membership.